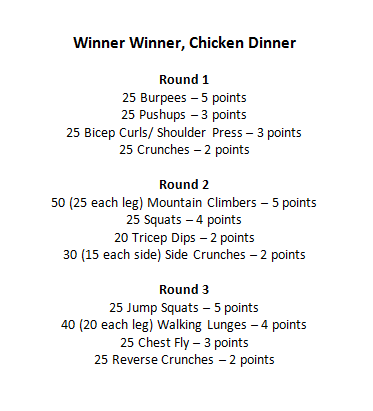 I think when I was creating last night’s Bootcamp workout, I was wishing I was in Vegas. The last time I was there when in November for the Rock n Roll Half Marathon which in my book is too long! Anyways, different subject for a different day. Last night’s goal during class was plain and simple – get as many points as possible, however you can within each round. For each round, I put 10 minutes on the clock and let the students go at it. I was a very proud instructor when almost every student started with burpees! Competition definitely creeped in with my students (I can’t blame them as that’s one of my worst traits) but they all commented how much they liked tonight’s game after class. This will definitely make an appearance again soon. The other day I used this playlist in cycle class which resulted in many people saying “I love this song” during class. Just as I like compliments on my classes, I love compliments on my playlists. It helps me to know what goes over well in classes and what doesn’t. 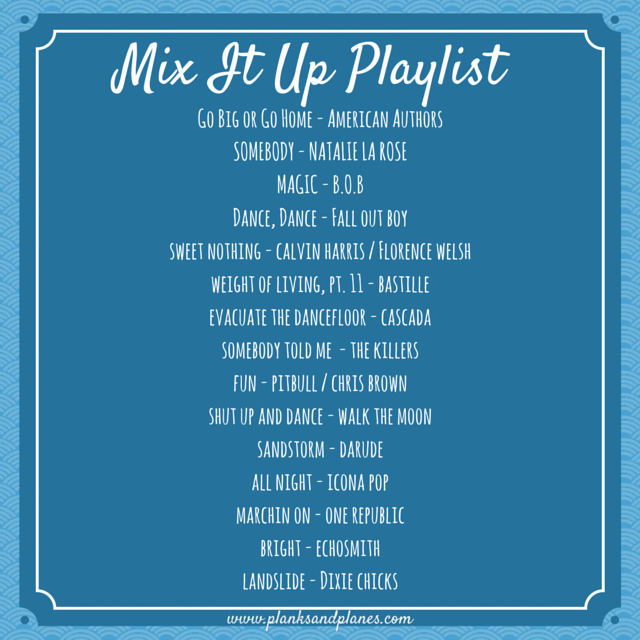 This one has a good mix of songs on the radio now and some hits from months, even years ago! Tell me: Do you like group or individual workouts? This entry was posted in Fitness, Group Fitness, Playlist, Workout, Workout Wednesday and tagged Fitness, Group Fitness, Playlist, Workout, Workout Wednesday. Bookmark the permalink. Definitely! Group settings really push you.